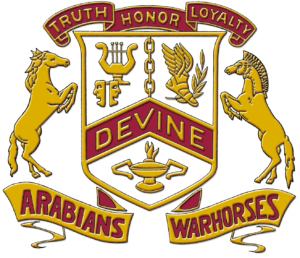 Devine ISD School Health Advisory Council is a group of individuals representing segments of the community and school district, which provides advice to the district on coordinated school health programming and its impact on student health and learning. All Texas schools are required to have one. There are 8 components that represent our SHAC and they are: Nutrition services, health services, health and safe school environment, counseling and mental health services, staff wellness promotion, parent and community involvement, physical education, and health education. We have about 20 members that are on the SHAC for a 2-year term and then the school Board of Trustees appoints a new group every 2 years. We do everything from discuss health and wellness issues/topics to address health related school policies that need to be changed/updated and give recommendations to the Board of Trustees on those policies, curriculum, etc. Currently we just got finished having our fifth annual health fair that was done in conjunction with National Night Out including SFE with the farmers market, WIC, Medina Community Healthcare, etc. We also had our fifth annual 5k walk/run and are hoping to have a bigger turnout next year with some new advertising strategies. We are continuing to work on our School wellness plan that correlates with our new school Wellness policy that was adopted at the end of the 2016-2017 school year. We are looking forward to discussing many new things/ideas to get our community physically active and promoting good nutrition to maintain optimal health/wellness for our Students, Staff and community members. If you are interested in serving on our SHAC starting the 2020-2021 school year, please email me atbritny.stricker@devineisd.org for more information.